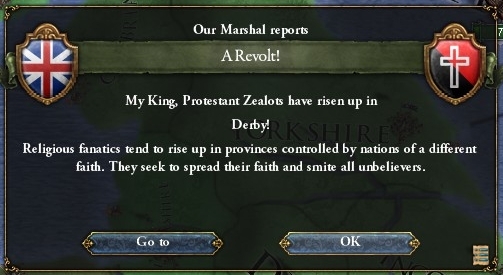 This time, the Catholics of the realm stayed quiet. In the end, it was King Augustus, shrugging his shoulders and pleading force majeure from his camp near Chesapeake Bay, who had the last laugh. Augustus died just a few years later, with little chance to savour his victory; wags and political enemies alike could not help but notice the timing. But his pragmatic solution paved the way for his son Octavius I to inherit a Britain free of civil strife. Plunder from a campaign against the fabulously wealthy Iroquois partly replenished the king’s depleted coffers; and it seemed he would need every penny. For two generations, Britain’s maritime strategy – colonisation of the Americas, support for overseas trade, naval dominance – had languished. Every soldier, and every gold ducat, had gone straight into the Wars of Religion. Now Britain turned her gaze back overseas, and she found that France, Portugal – no longer an ally – and the new Dutch republic had taken advantage of her neglect. 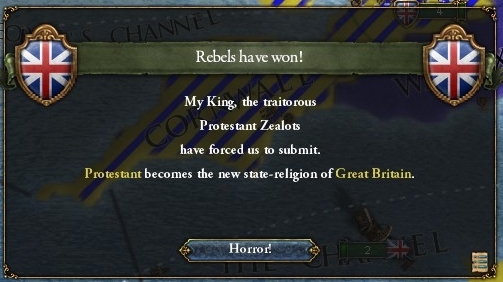 The 1500s had begun in optimism and discovery, and degenerated into sectarian slaughter. What would the next century offer? 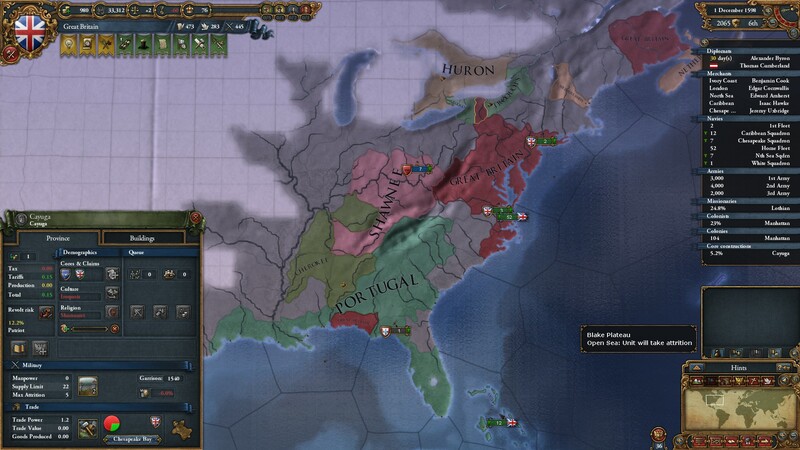 This Let’s Play is based on a review copy supplied by publisher Paradox Interactive. 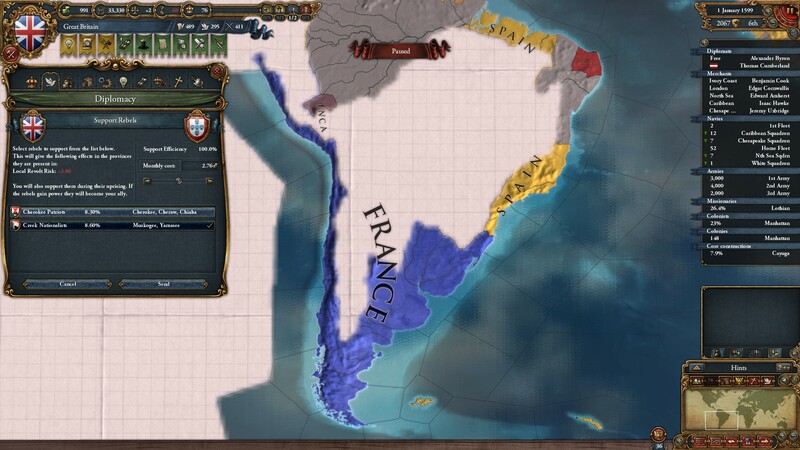 Posted in AARs / LPs, Games, PC Games, Strategy Games and tagged europa universalis iv.